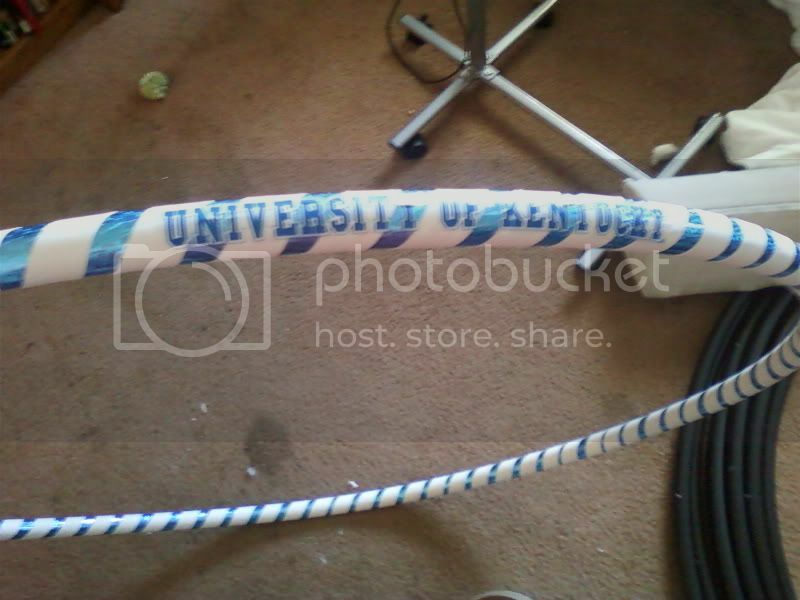 My friend wanted a heavier hoop instead of a 100 psi that my friend had made her in the first place. 160 psi for a 5'4" person or whatever height she is. Since it's March Madness, she wanted a UK hoop. You can see my friend in my Hoop Camp Spirit Dance video. 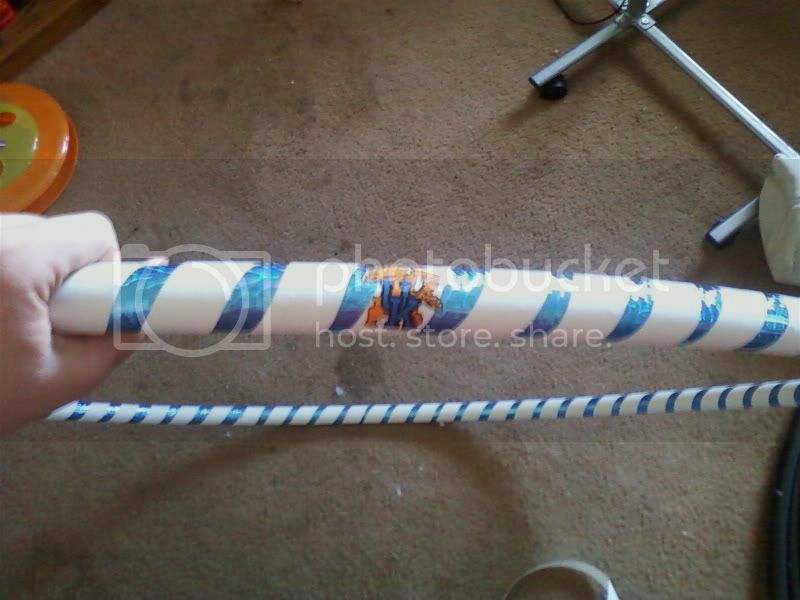 Do you know anyone with Lap Band that hoops? She's used my hoopnotica hoop and at times it hurts her band. 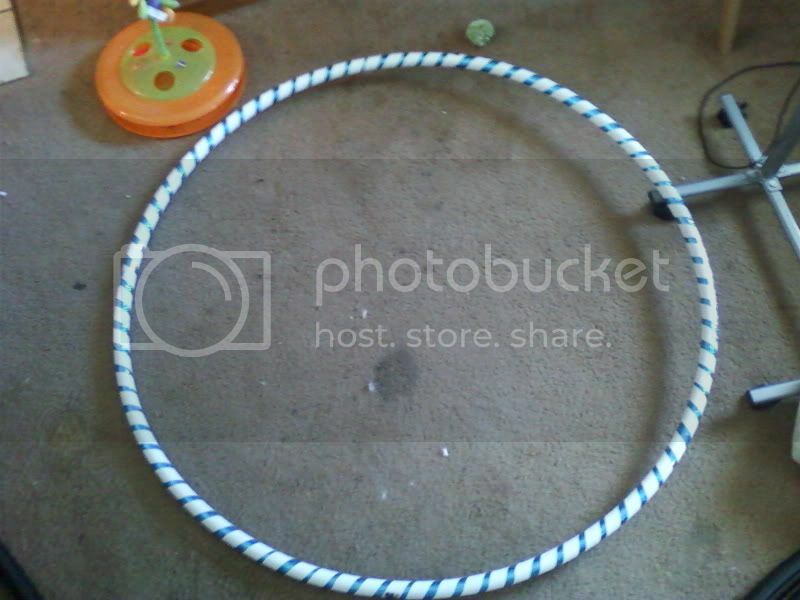 Hopefully this will be a good size for her to hoop with without hurting her band. I hope so. This would be her second hoop (a mutual friend of mine took the one she didn't like). I taught her how to hoop and she's super anxious to be able to do it!